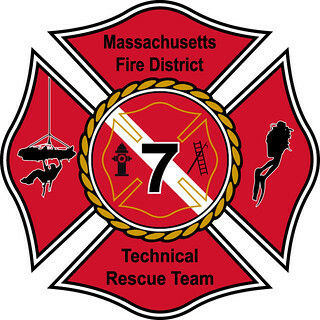 The District 7 Regional Technical Rescue Team was established in 2011 and is comprised of 50 members from various communities within the district. The team has year round capabilities and hosts a variety of advanced skills and equipment. The team covers a number of significant size commercial occupancies that have confined space and technical rescue needs throughout the district. The team trains bi-monthly and is advised by a Technical Rescue Committee which is the policy setting body.